Apple is in talks to lease over 40,000 square feet of office space in Bengaluru where it intends to set up a development centre, three people familiar with the development said. “The company has signed the letter of intent with Galleria, a mixed use project in Yelahanka in Bengaluru,” one of these people said. 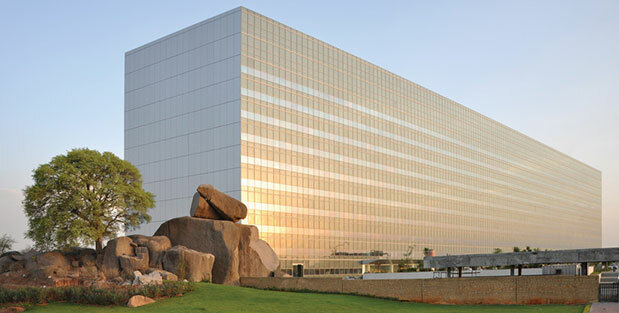 Galleria is 3 lakh sq ft office space that belongs to Standard Brick Tile Company. I’m sure loving these India-focused developments coming out of Cook’s visit to India this week. Apple has today announced the opening of a new development office in Hyderabad, one that will focus on development of Apple Maps for its product lineup. It’ll be located at the Waverock campus in Hyderabad, developed by Tishman Speyer and is poised to create up to 4000 jobs. Apple also announced a new iOS App Design and Development Accelerator in Bengaluru yesterday. Released in September 2012, Apple Maps replaced Google Maps on iOS and over the last 4 years, even though Apple has continued to improve its mapping data, the product has been severely lacking for India and other countries. For example, Apple Maps was missing the Bandra-Worli sea-link, Mumbai’s iconic cable-stayed bridge for the first ~8 months. Apple is focused on making the best products and services in the world and we are thrilled to open this new office in Hyderabad which will focus on Maps development. The talent here in the local area is incredible and we are looking forward to expanding our relationships and introducing more universities and partners to our platforms as we scale our operations. I’m hoping this announcement and the efforts of everyone at the new office will improve the terrible state of Apple Maps in India. Forget features like 3D buildings, Flyover or Transit directions, even basic mapping data like roads and streets are missing. I’ve been sending feedback and submitting corrections through the Maps app for years now, yet I have never seen any corrections made to the data.